RazoRock Plissoft Monster Synthetic Shaving Brush - The latest addition to our RazoRock Plissoft shaving brush line is the Monster! 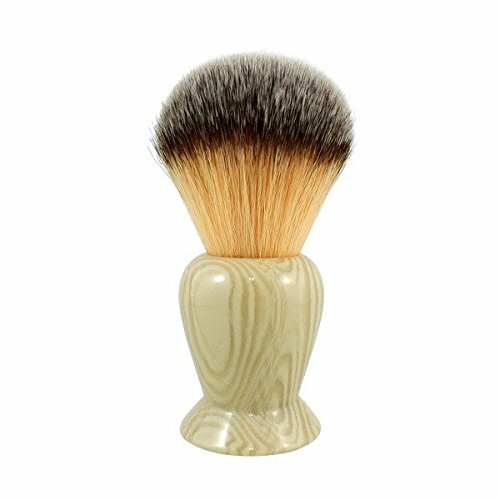 The same great Plissoft fiber found in our best-selling 24 mm Plissoft brushes but this one has a special heavy resin, swirl faux ivory handle, with a huge 26 mm knot! Perfect for those wet shavers seeking a larger brush that is capable of holding enough lather for 4-5 passes. All the RazoRock Plissoft shaving brushes are vegan friendly and require absolutely no break-in period. For over a year now, there has been a synthetic shaving brush that's been all-the-rage in the traditional wet shaving community and sells for between thirty and fifty dollars. RazoRock has sourced the same knot and mated it to a heavy resin handle with our RazoRock logo stamped on the base. This brush is an absolutely joy to lather with and is uber soft on the face. The weight and quality of the handle is going to blow you away at this price-point! If you have any questions about this product by RazoRock, contact us by completing and submitting the form below. If you are looking for a specif part number, please include it with your message.